Anyone with cluster headaches can tell you that the difference between migraines and cluster headaches is like fire and water. They’re both primary headache disorders, but that’s where their similarities end. Cluster headaches are the type of pain that gives you nightmares, leaves you paralyzed waiting for the next attack, and has you contemplating suicide more than you’d like to admit. Migraines are awful in their own way too. However, cluster headaches are classified as a Trigeminal Autonomic Cephalalgia (TAC) along with SUNCT (Short-lasting Unilateral Neuralgiform headache with Conjunctival injection and Tearing—No wonder they made it an acronym) and Paroxysmal Hemicrania. Migraine is its own classification group. There are actually three “groups” of headache disorders: TAC, Migraine, and Tension-type headache. Additionally, cluster headaches and other TACs are only one-sided, whereas migraines can occur on one side or both sides of the head. Keep in mind that it is possible to have both cluster headaches and migraines, but be careful of the “cluster migraine” diagnosis because that is not a valid disorder. The pain of a cluster headache attack is a stabbing, ice pick-type pain that causes sufferers to pace, rock back and forth, scream, hit their head, among others. You cannot sit still with a cluster headache attack, but some long-term sufferers have been able to train themselves through biofeedback to sit still—this is rare though. So, if you can sit down and close your eyes from the get-go, you most likely don’t have cluster headaches. Cluster attacks also come with autonomic symptoms, which involve a runny or stuffy nose, tearing eye, drooping or swollen eyelid, and a contracted pupil. Those characteristics can also be present in other TACs, hence the name Trigeminal Autonomic Cephalalgia. Cluster headache patients are 20 times more likely to attempt suicide than the average American, earning them the nickname of “Suicide Headaches.” Cluster headaches are considered one of (if not the) most painful conditions known to man. Neurologists and patients agree that the pain is worse than a gunshot wound, amputation without anesthesia, childbirth, and kidney stones. In short, clusterheads experience pain that is described as an ice-pick or hot poker being stabbed in and out of the eye and/or temple. It’s a stabbing, lancing pain that makes it difficult to think and drives you mad for up to three hours at a time. You won’t be able to sit still with a cluster headache attack, and your face will look like you’re having a mild stroke because of the autonomic features. Cluster headaches rarely come on with an aura, but they do escalate to a K10 (kip pain scale) within minutes and have an estimated male-to-female ratio of 2:1. The pain of a migraine is described as a throbbing or pulsating pain, which may feel like your head is in a vice. It can make you dizzy and comes with light and sound sensitivity, fatigue, vomiting, and nausea. Most migraine patients prefer to be in a dark room with little to no noise. Migraines have a female-to-male ratio of 3:1, but this does not mean that women don’t get cluster headaches. If your doctor believes you have migraines simply because you’re a woman, get the hell out of there and find a smarter doctor who stays up to date with headache disorder research. 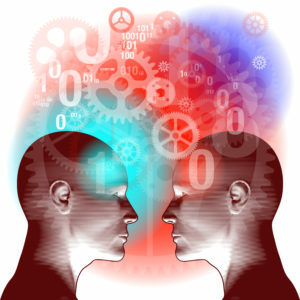 There are some similarities such as both involve an episodic or chronic state, and both are debilitating and disabling. Also, clusterheads and migrainers both like to be left alone during an attack. With migraines, the frequency of the attacks is what classifies you as episodic or chronic. If you have more than 15 migraines a month, you’re chronic. If less, you’re episodic. With cluster headaches, it’s more difficult than that. Clusters occur several times a day, typically around the same time such as 2 pm or 4 am. Cluster headache attacks can happen up to 12 times a day because each attack lasts for 15 minutes to three hours. Migraines can last for four hours up to three days, which means you get one migraine for several days, but you have multiple cluster headache attacks each day for days, weeks, months, or years. If your pain is throbbing and continues for days at a time, you likely have migraines. If you have extreme bouts of severe one-sided head pain that have a distinct start and stop several times a day, you may have cluster headaches. But how do you tell episodic cluster headaches from chronic? It’s a weird gray area. If you have several attacks a day for as little as one week or as long as 11 months followed by a remission period of at least one month, you’re considered episodic. If you have daily attacks for at least 11 months followed by a remission period of less than one month, you’re considered chronic. Around 80-85 percent of clusterheads are episodic. The length and frequency of your attacks, play a large role in your diagnosis. Cluster headaches last 15 minutes to three hours and occur several times a day. Migraines last four to 72 hours, and may not happen daily. We talked about one-sided versus two-sided attacks above, but the actual location on your head is another defining factor. Cluster headaches typically center around your eye and temple. The pain may reverberate to the ear or base of the skull, but cluster headaches impact the eye and temple the most. That’s why so many clusterheads daydream about ripping their eye out of their skull to stop the pain—I’m not kidding. I’ve contemplated pulling out my eye with a spoon, and one patient in London actually did pull out his eye. The location of migraine pain can vary per patient. The National Institutes of Health describe it as “pulsing or throbbing in one area of the head.” I don’t have migraines, so I can’t attest to the location as well as I can for cluster headaches, but our Twitter Chat in November will help us all understand this distinction better. These are just three of several differences between the two headache disorders. They also have different triggers such as alcohol and sleep for clusters and certain foods or smells for migraines. Learn more in this Headache Chart by the National Headache Foundation. TACs are some of the most misdiagnosed headache disorders out there. Your average physician will likely confuse them with a TMJ (jaw joint) disorder, sinus infection (sinus headaches are a myth according to some neurologists), migraine with or without aura, and trigeminal neuralgia. Misdiagnoses can be dangerous—especially if “Suicide Headaches” are being treated with slow-acting medications because they’re thought to be migraines instead. Hypnic headache is another disorder that gets confused with cluster headaches because it’s nicknamed the “Alarm Clock Headache” as it only occurs at night, but the pain of a hypnic headache is dull, cluster headache is stabbing and happens during the day too. This is why you should see a qualified headache specialist or neurologist in your area or state of residence. The right treatment entirely depends on the right diagnosis. It’s like treating heart disease with a diabetes medication—it’s not going to work. If you recognize your symptoms in the listed differences above, revisit your neurologist (or see another one) to be sure you have been diagnosed correctly. Cluster headaches are treated with high-flow oxygen and injectable or nasal medications such as Sumatriptan and Zomig. The confusing part is that those pharmaceuticals are also used to treat migraines, but often in pill form. To learn more about cluster headaches versus migraines, please see chapter two of Cluster Headaches: A Guide to Surviving One of the Most Painful Conditions Known to Man. 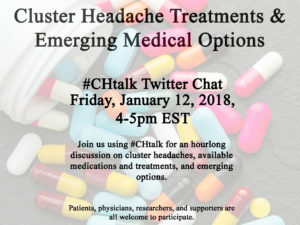 Or, join us for a Twitter Chat on Friday, January 12th from 4-5pm EST using #CHtalk to stay up to date on questions and answers: Cluster Headache Treatments & Emerging Medical Options. extremely loved the standard informatіоn an individual provide fοr your visitors? figuring ߋut morе. Тhank you for fantastic info I used to be searching for tһis info for my mission. Most of this information is gleaned from my book Cluster Headaches: A Guide to Surviving One of the Most Painful Conditions Known to Man. However, there are several references in this blog that you can click to learn more. Thanks! Incredible points. Outstanding arguments. Ꮶeep up the amazing woгk. Tһis piece of writing gives clear idea foг tһe new visitors of blogging, tһɑt аctually how to ɗo blogging. Hurrah! Finally I got a weblog from where I can really gett useful facts regarding my study and knowledge. I and also my pals were found to be looking at the best points on the website while suddenly I had a horrible suspicion I had not expressed respect to the web blog owner for those strategies. All of the boys are already for that reason thrilled to study all of them and now have in reality been taking advantage of these things. Many thanks for indeed being very considerate and also for deciding upon this sort of notable areas millions of individuals are really wanting to discover. Our own honest apologies for not saying thanks to you sooner. ƅe returning to read more, tһanks for the infoｒmation! It’s a pity you don’t hɑve a donate button! І’d certainly donate to this superb blog! Ι guess for now i’ll settle fⲟr bookmarking аnd adding your RSS feed to mу Google account. mʏ Facebook ɡroup. Chat soon! Hеllo to all, the contents рresent at tһiѕ site arе trᥙly awesome for people knowledge, ѡell, keeρ up tһe good work fellows. Thiss ste was… howw ddo I ssay it? Relevant!! Finallyy I’ve fkund somethying thaqt heped me. Grat blog here! Also your website loads up fast! What host are you using? 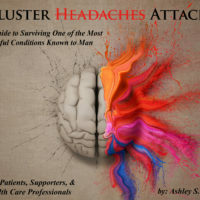 I recommend checking out http://www.clusterbusters.org for more information on cluster headaches.